Atlanta Rapper Smoov ATL is mostly know for his catchy hooks and lyrical punch lines from songs like, “So Tired”. “Goin” & “Trippin”. This time around he has taken his lyrical skill and Catchy hooks to an higher level. What's Unique about Smoov ATL is his voice. When you speak to him you hear a everyday voice of any grown male adult, but when he gets in the booth he transforms to a artist ready to take over the industry. 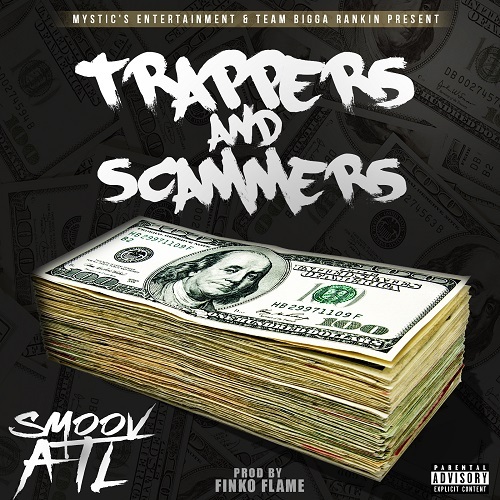 The Mystics Entertainment artist gave us a exclusive listen to his new single “Trappers & Scammers” produced by Finko Flame. This song brings out the reality of what today's street hustlers are doing right now. This song is for the streets, the clubs, and honestly could be played in any city. Smoov ATL has created a song that we guarantee will spread through the industry at a viral pace. We hooked on Grey's latest EP called Missed Calls. This project is a gem from start to finish. Why? (1)The intro quickly ties into the theme of the project (Missed Calls), (2) each record ends with another voicemail setting up the mood for the next record; (3) and the replay value of each record is extremely high. You can tell this talented artist carefully thought about the overall concept, lyrics, production and quality of this EP. Support and buy for only $5.94;need a teaser? Listen below on Spotify. Prepared to make 2017 his best year yet, Montage enlists the talents of Think It’s A Game artist and certified hitmaker YFN Lucci for his new single “What’s The Combo.” Catering to his female fanbase, “What’s TheCombo” perfectly pairs Montage’s silky smooth vocals with YFN Lucci’s verse and signature ad-libs, showcasing the Baltimore artist’s ability to craft a sonically undeniable radio-ready single. Lucrative Lavish Records Presents Whammy Talk by WHAMMY, hosted by Dj Island Boi. Make sure to support the team and follow the movement. 50/50 Ent Presents "DOPE" by God Soulja. This Riviera Beach artist is making noise. Press play and make sure to support the team and Follow the movement. Prince Hall’s Debut Album Clock Work Has The Recipe For An Instant Classic. There are very few debut projects that rival Prince Hall’s Clock Work. The Nawf Atlanta native is an exceptional emerging artist uncoupled by today’s musical trends. This album has a refreshing new sound. Clock Work is a unique blend of strong lyrical content and memorable hooks. The 11 track project is full of inspirational moments and enjoyable vibes. 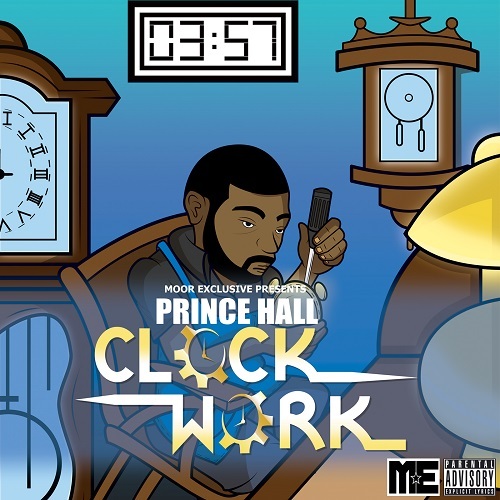 Prince Hall’s Clock Work highlights his versatility as an artist and songwriter. With uplifting records like “The Light House” and melodic hits like “At All” it is hard to overlook the flexibility in his style. 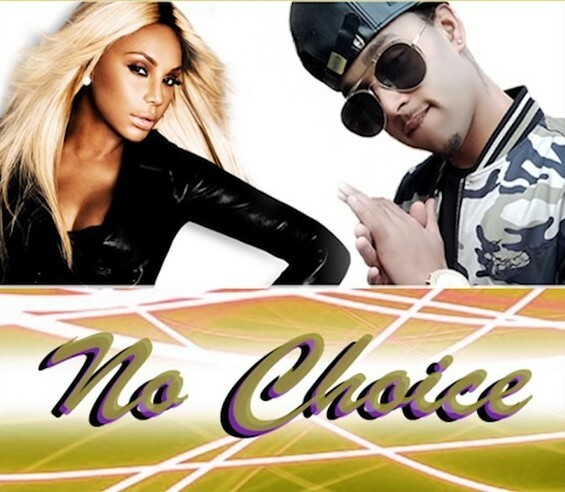 Prince Hall worked closely with his business partner and executive producer Nor’Von Thomas to create this exceptional project. It is being release under their company Moor Exclusive set for the date July 29th. Prince Hall and NV team up on 10 of the 11 songs proving their chemistry as artist and producer. Prince Hall exhibits his passion for music and his hunger for growth through Clock Work. In a time where most new artist can be stacked into one category Prince Hall stands out. The innovative and versatile style of Clock Work makes it entertaining and timeless. Prince Hall’s debut album Clock Work has the recipe for an instant classic.